Why did no one intervene in the conflict of interest with Cheryl Mills holding a key role in The Clinton Foundation and being Chief Of Staff? 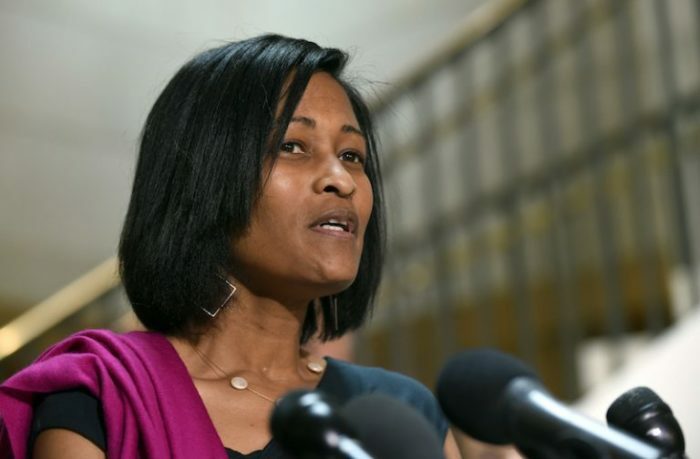 While she was Hillary Clinton’s chief of staff at the State Department, Cheryl Mills also played a central role in the operation of the Clinton Foundation, in apparent violation of conflict of interest laws, and contrary to her sworn statements to congressional investigators. That is the picture painted in emails to and from Clinton campaign chairman John Podesta, released by Wikileaks in October. The hacked emails confirm earlier allegations, first made by NLPC, about Mills’ dual allegiances. The emails were first detailed in an October 12 Daily Mail story by Alana Goodman. According to the emails, Mills was the architect of a reorganization of the Clinton Foundation in 2012 after it was the subject of negative media attention. Mills also mapped out a new structure for a for-profit entity called Teneo, as well as Bill Clinton’s paid speech-making operation. Mills’ involvement in Bill’s speaking business is particularly striking because she was the State Department official designated to vet his speaking engagements for conflicts of interest.